As I have mentioned in the past, I never buy wrapping paper- in fact, it has been over 15 years since I purchased a roll of holiday wrapping paper from the store! Instead, it has become a holiday tradition for me to make my own and over the years I have come up with all kinds of really fun, easy and FAST ways to create one of a kind wrapping. 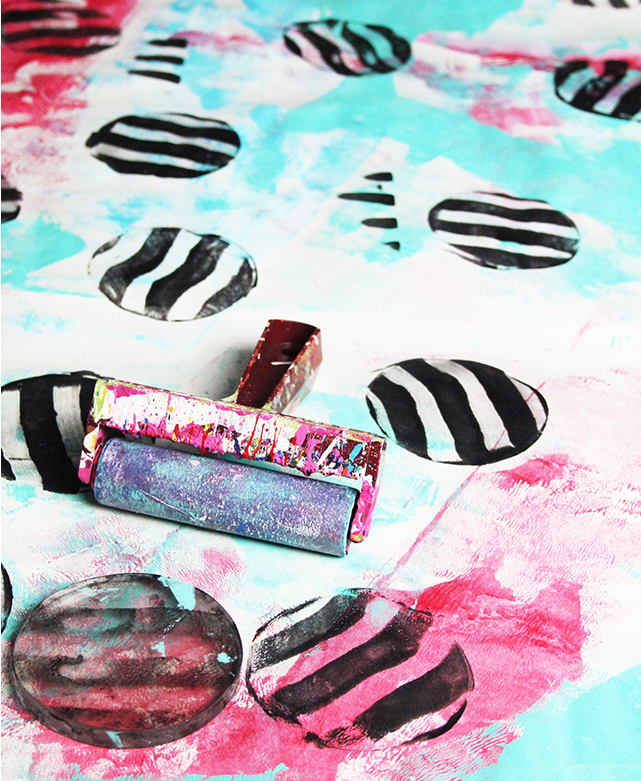 After the kind folks at Gelli Arts® sent me some of their new mini printing plates- I was totally inspired to create some really colorful and messy wrapping paper! 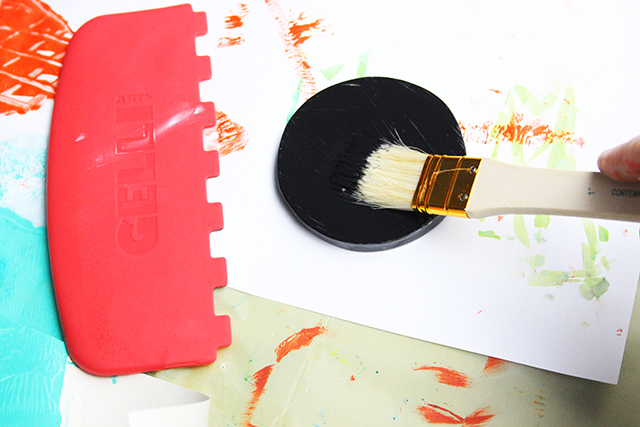 I LOVE working with Gelli Plates and these Mini Gel Printing Plates are so much fun because you can print on smaller art journal pages or even create repeat designs on larger surfaces. 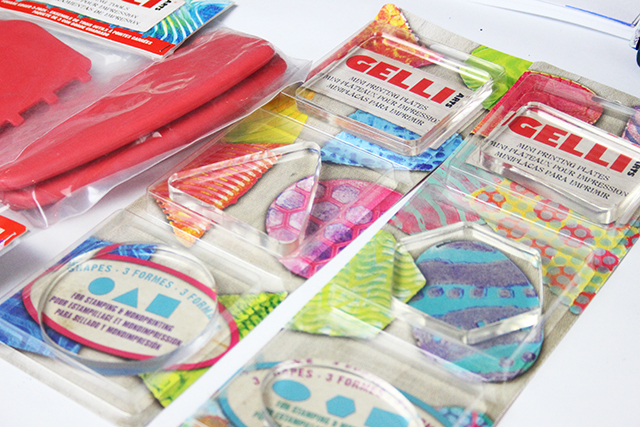 Gelli Arts even make edge tools that can be used with the printing plates. 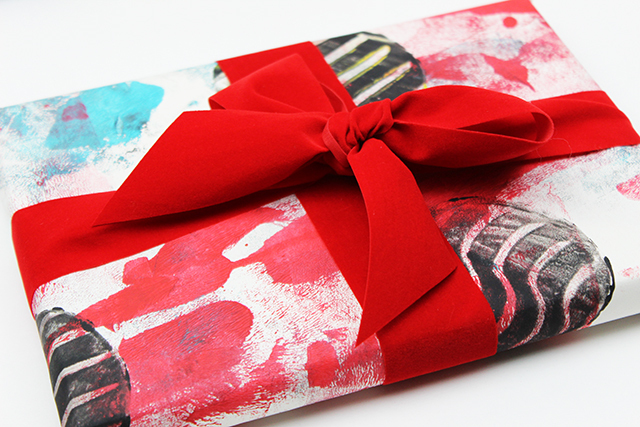 Since I love anything messy, I decided I would create yardage of messy wrapping paper. 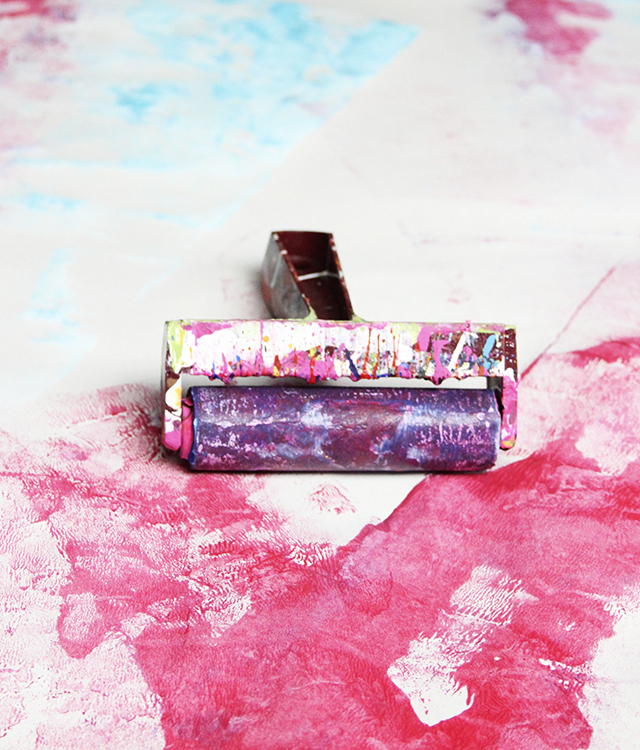 I started by painting a large piece of butcher paper- I used my brayer to create lots of messy color. 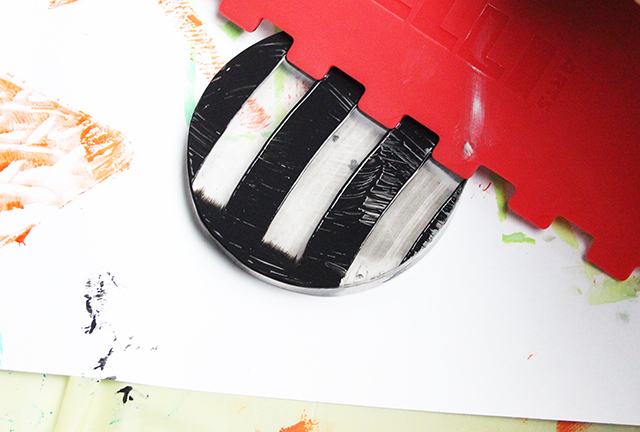 Next I "inked up" my Mini Gel Printing Plate. 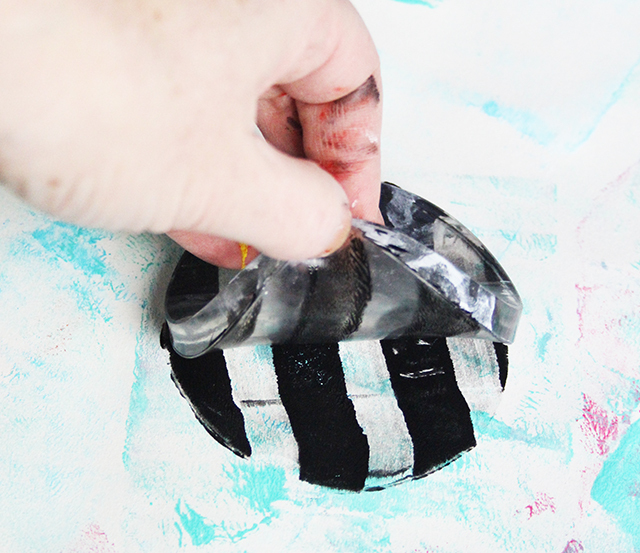 I used one of the edge tools to pull paint away- this created stripes. Then I printed my plate onto the paper. I printed these little striped circles all over my paper. 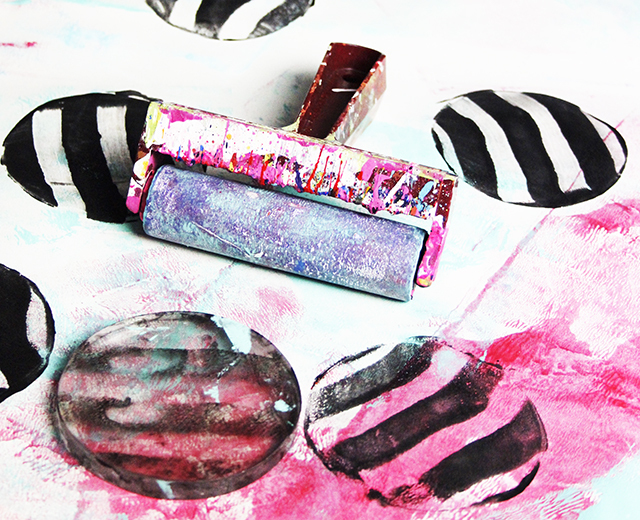 The result is colorful, messy mixed media paper perfect for holiday wrapping! 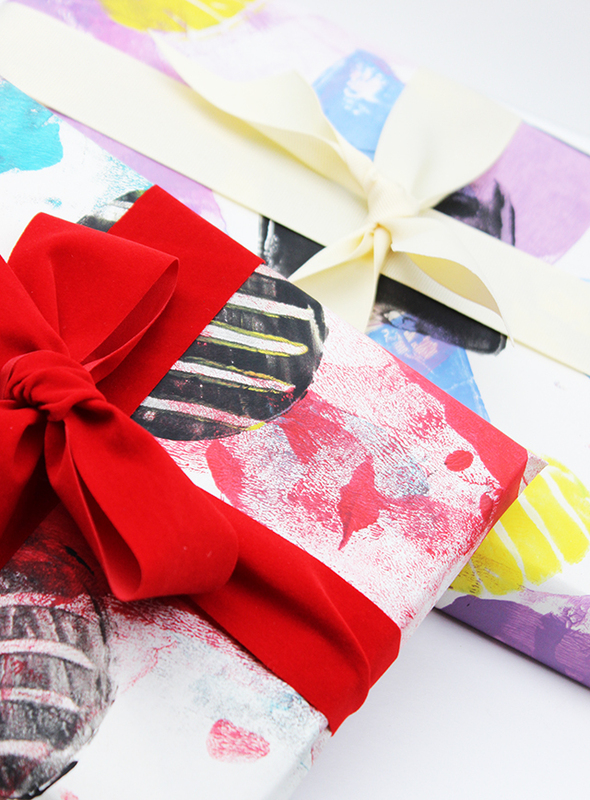 Looking for more wrapping inspiration? You are the Artsy MacGyver! So pretty!! I'm loving both your Art Journal Delight and Art Journal Bliss classes, and these would be so perfect for working in an art journal! LOVE these prints. So inspiring. Had to pin this! Loved the black and white wrap!